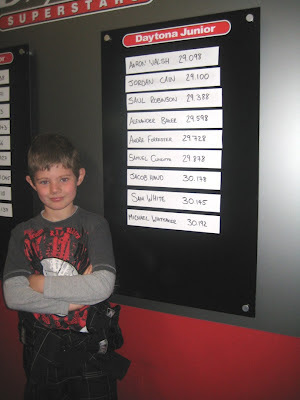 Samuel and Jacob Kart Racing: Good Lap Time - Even Better Lap Time! Good Lap Time - Even Better Lap Time! And he went even faster on 25 July setting a 29.748 lap time - no photo of it on the board though as its only Sunday Club times that make it! And he's the youngest on the board by at least 2 years!